Hi there, Welcome to GreatWordpressThemes.net ! If you choose to continue browsing and/or using GreatWordpressThemes.net you are agreeing to comply with and be bound by the following terms and conditions of use. We reserve the right to update, revise or append the Terms of Service at any time by posting such modifications for public view. The following terminology applies to these Terms and Conditions : “Client”,”Visitor”, “You” and “Your” refers to you, the person accessing this website and accepting the website owner terms and conditions. “GreatWordpressThemes.net”, “Ourselves”, “We” and “Us”, refers to the owner of the website. All content that you can find on this website is for your general information and use only. GreatWordpressThemes.net nor any third parties provide any warranty or guarantee as to the accuracy, timeliness, performance, completeness or suitability of the information and materials found or offered on this website for any particular purpose. You fully acknowledge that any decisions you make based on the information gathered through the use of GreatWordpressThemes.net is done at your own risk. 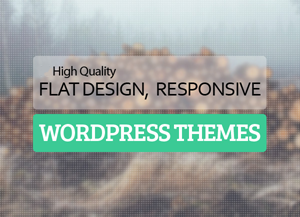 Content and objects on GreatWordpressThemes.net cannot not be altered, edited, reproduced, reposted, mirrored, moved, downloaded, distributed or published without soliciting written consent. Information within this website is copyrighted by GreatWordpressThemes.net, except in cases where images, applications or text is dually licensed and approved from affiliates or third-party vendors. We provide links to third-party websites for the information purposes and We are not held responsible for any such items which are on third-party websites or purchases of products from these third party websites. For the tracking purposes some of our Affiliate links has a 301 redirections so it may look like they are linking on the GreatWordpressThemes.net website but they are in fact external links to pages on other domains. We reserve the right to not publish, edit or delete comments if we think they are not related to post subject. However we encourage and welcome all kind of comments, thoughts or critiques.